In a new summer tire test, the PremiumContact 6 from Continental led the field by a comfortable margin: German car magazine Auto Zeitung compared the performance of nine summer tires and one all-season tire in size 235/45 R 18 on wet and dry roads (issue 6/19). The test car was a Skoda Superb station wagon. 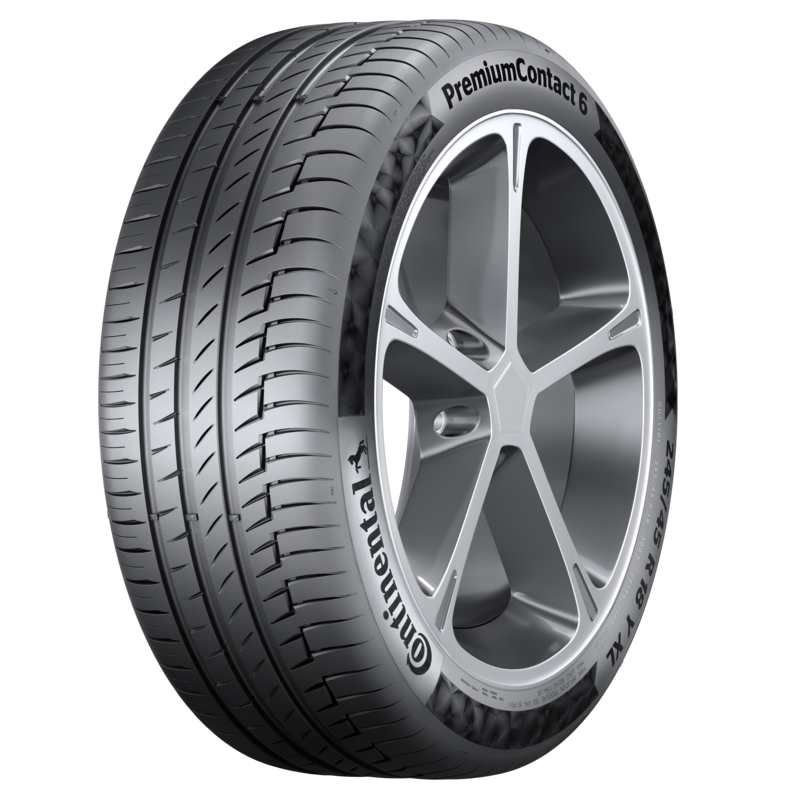 In the test, the tire developed by Continental in Hanover claimed first place in both categories. Driving in the wet, the PremiumContact 6 scored 142 of a possible 150 points, while in the tests on dry roads it scored 135 points out of 150. With a total score of 277 points out of 300, the Continental tire finished a clear 25 points ahead of its nearest rival. “Maximum safety, a high level of comfort and superior dynamic handling,” summed up the Auto Zeitung testers. In all, the journalists from Cologne tested 13 different tire criteria. Along with the conventional tests out on the road, there were also tests for rolling resistance and tire/road noise.